Long time, no talk. It was hard to get back into the swing of swatching and blogging after taking such a long break, so the dust has been collecting much longer than I anticipated. So sorry about that. Can I be completely honest with you though? 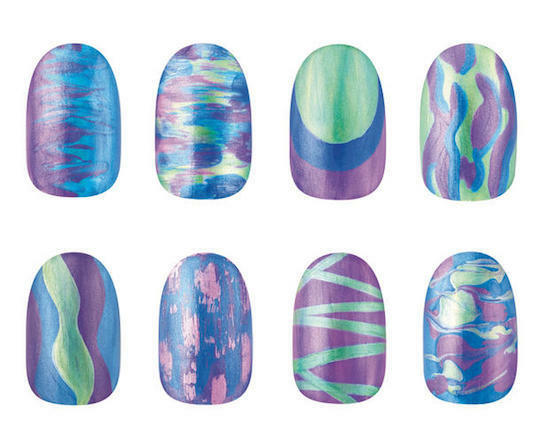 I'm a little bored and uninspired by the collections Essie has been putting out lately (*gasp). I actually started the draft for this post weeks ago and never worked on it because I knew that I wasn't into these new releases and the post would be negative. I decided to just go for it and post this anyways because I've always been 100% honest with you guys. So if I legit don't like collections or think they are boring, I'm going to tell you. The hard part about not liking collections is that I don't want to buy any of them! But if I don't buy them, then I don't have new collections reviewed here for you, so I keep debating with myself. As a true consumer of Essie I honestly wouldn't buy any of these upcoming collections I'm about to show you. I just see too many dupes or polishes that I don't like. With all that being said, I'd love to hear your thoughts in the comments below. Do you feel the same as me? Am I alone in my un-excitedness? Which collections are you excited about that you'd like to see me review? I need your input! 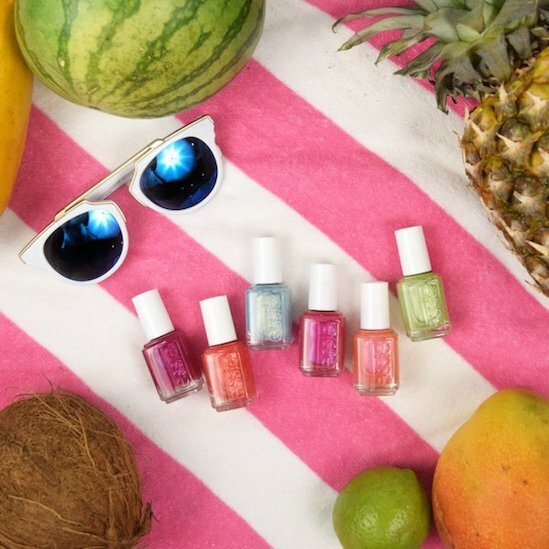 This is Essie's collection release for Summer. I first saw a teaser pic of this collection on Snapchat and was totally unimpressed. I literally have EVERY colour in this collection already. I've seen a few blog reviews on this collection since these promos were released and I've changed my mind about the turquoise polish Viva Antigua! and the blue Loot the Booty. They are a lot more unique than I originally thought and totally worth picking up. They seem to be loaded with pretty iridescent purple and turquoise flecks. So that's cool. This collection has already been released a lot of places online or in the U.S., but should be officially released in the next week in Canada, so if you haven't been able to find it yet it should be in stores very soon. 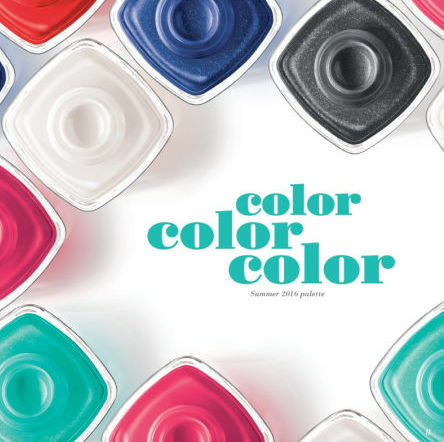 I finally broke down and ordered this collection today (along with the Essie Bridal 2016 Collection) so I WILL have a swatch and review post along with a comparison post for both of those collections. We'll see if my suspicions are true about the other polishes being dupes for ones already in my collection. 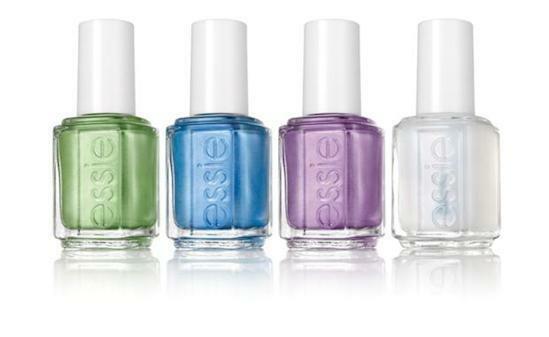 Essie will also be releasing another small collection perfect for nail art called the Slick Oilpaints collection. There are 3 metallic-looking chrome polishes in this collection with a shimmering top coat that will supposedly transform the colours into a deeper tone. I know I've said it many times before, but I just don't do nail art. I prefer solid manicures for my own personal taste so these polishes are not in my wheelhouse. I never did pick up any of the Silk Watercolours and these are along the same line for me. My List Of has some beautiful swatches of this collection along with her review and so does The Polished Page, so if you are interested in this collection I would suggest checking out their sites. 2. 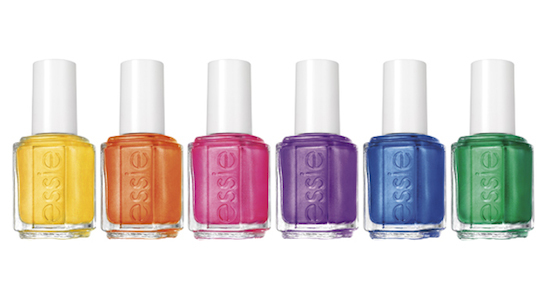 Releasing a "brights" collection instead of a "neon" collection, which we all know the Essie Neons haven't even been close to being neons the past few summers. All three of these things are quite out of the ordinary for Essie, so when I saw the press release for this I thought "Yes! Something different!" I'm absolutely head over heels in love with Essie's Aruba Blue and I've always wondered why they didn't do more shimmery shades like that. Now there's a rainbow collection of shimmers to choose from, with a YELLOW, the elusive colour that Essie NEVER does! 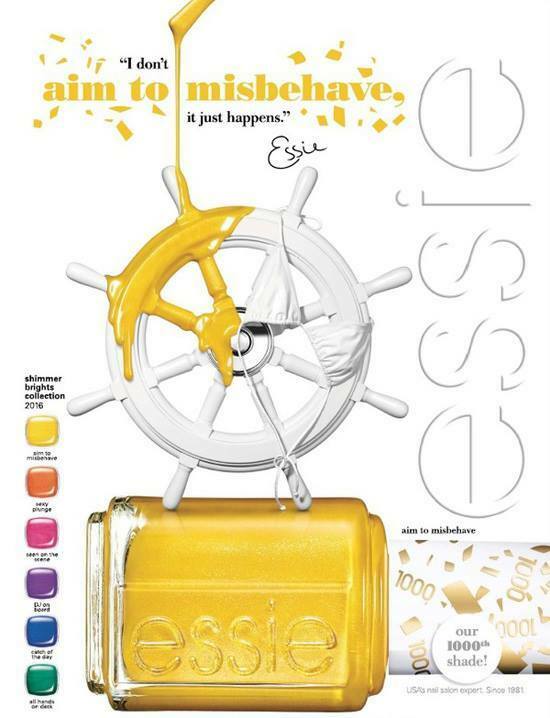 I've seen maybe 3 or 4 Essie yellows in my research of Essie over the years but they've all been discontinued and it's impossible to get your hands on them. I've read in interviews with Essie Weingarten that she never does them because they just don't sell, so it's intriguing to me that they would release a yellow to commemorate their 1000th shade. Those first 3 collections were all ones I was expecting Essie to release but this one came outta nowhere! Two weeks ago on Instagram, Essie Canada teased that there would be a Tropical Lights collection and then a week ago they announced it was here. I couldn't seem to find any information for what that meant! A new collection? Different from the Shimmer Brights? Here where? I still don't know a lot, except that this collection has showed up at Shopper's Drug Mart here in Canada. Is it being released anywhere else? No idea! *Edited to add: Looks like maybe the Shimmer Brights collection is a salon exclusive release in the U.S. while the Tropical Lights collection is a Canada exclusive release, according to @laurenslist. What I do know is that Real Polish Fanatic bought the entire collection at Shopper's Drug Mart and swatched and review it here. So did Karen at BeautyGeeks. I'm going to direct you to both of their blogs because this is another collection I won't be purchasing. Too much frost for my taste. The frosty shimmer finish is very old school and two of these polishes are actually re-releases. Can't Filmfest originally came out in 2000 in The Main Event Collection and Fun Ships came out in the 2005 Summer Collection called The Cruise. The light sheer pink shimmer in this collection called Sizzlin' Hot also looks like a dupe for Martini with a Bikini from the Retro Revival Collection as Karen pointed out. Ugh. See what I mean? I'm poo pooing on everything! I didn't mean for this post to be a Debbie Downer but I have ALWAYS given you guys my true feelings and reviews on everything Essie related and this is honestly how I feel about these collections. The ONE collection I got a little excited about was the Shimmer Brights because it's different and I think Essie will do an awesome job on the formulas, but if I really break it down and think "which ones do I want to buy?" my true feelings are that I don't want to buy any of them. That's mostly because I've been super into pastels and nudes for the past few months and I can't really see myself wearing those super bright shimmers. But I may break down and buy that collection simply because it has an Essie yellow and I think the formulas will be great. And I kinda want to review them for you. But that's $50 to buy polishes that I don't want, just to review. I don't know. So what do you think? I'm SOOOOOO curious to know your thoughts and feelings about these upcoming releases! What do you love and want to see swatches of? And what do you hate? I saw an IG post from @essiebuff for the green "All Hands on Deck" from the Shimmer Brights collection and I thought the color was stunning! Tempted to get it, but I feel like I might wait for St. Patrick's Day to actually wear it, haha! I agree with you about nail art. 1) I don't think I'm talented enough to do it and 2) I just prefer the look of a one-shade-covered nail. Someday I *may* go two-toned, though. The half-moon design looks kind of cool and doable with nail tape or whatever. I have, in the past, alternated colors on the same hand (like one shade on pinky and ring finger, and another shade on the other three) but it's still one shade per nail. Excited to see you back and can't wait to see your Bridal Collection swatches! I've felt very "meh" about a lot of the releases lately! I was going to pass on the winter collection (ended up with 3 of them), the spring collection (ended up with 4 of them), and resort collection (ended up with 2 of them). Haha sooo I'm not very good at sticking to my guns. I have to say I LOVED the entire summer collection when I first saw it. All the shades seem so wearable and they are colors I enjoy wearing on myself - then @manigeek pointed out it was a typical Essie pink, typical red, etc and my excitement faded. I actually won the summer collection in a contest and they just arrived in the mail today!! I'm glad to have them all - they're gorgeous, even the ones I may have dupes for already -but if I was spending my own money I might have only picked up Viva Antigua. I like the whole Brights collection, but as a whole. I couldn't decide which individual shades I actually wanted to get. The Tropical Lights and Oil Slicks do NOTHING for me. And I haven't even picked up any of the bridal. Anyway, I've seen the Brights at Ulta and I've seen the Tropical Lights at Target (I'm in the US), so I'm not sure about the collections being exclusive to US/Canada. I think I've bought so much polish this past year that I'm "immune" to the new collections. I'm excited to see what's in store for fall..hopefully something different! I don't like any of the new Essie releases. I have so many colors that I don't need anymore anyway. I wish you would blog about the neutrals, I am so loving them right now. Hope you are back for awhile. I am so bummed that they did shimmer brights instead of Neon. The neons are my favorite collections and I was really looking forward to them this year. Oh well. I don't really like the shimmer brights. Ditto for Tropical lights, I would never wear them. I've always wanted to try the water colors, but I don't like these shades. I like summer, but the only one I plan on getting is Viva Antigua. I'm really excited to get that one actually. First of all I'm so glad to see your un-excitedness over "another Essie red", I feel like there are like five red colors and two hundred dupes. I can not tell the reds apart. The summer collection is certainly.... interesting. I think I'll get it for free any time now actually, which is good because I want to see it but I would never buy it. I expect to like Coconut Cave, and the black one is interesting, but the rest looks too bright. You should really get PR samples too Kindra! I don't know why you don't and I do. Ridiculous. Welcome back!!! I've gotta agree with you, excitement levels...zero! But I think I will get Viva Antigua! because a turquoise with a gold shimmer is hard to come by (usually it's silver) and I just love that colour! Loot The Booty is also really pretty but I rarely wear that kind of blue, plus I just bought Aruba Blue so not sure (I might still get it). The Bridal Collection got reduced to three here; Coming Together, Mrs. Always Right and Steal His Name (and of course I wanted Groom Service and Passport To Happiness). I've got to say I'm not excited by the 1000th shade though, I think yellows don't sell well because most of the time they can make you look like you have jaundice, and the ill look isn't really that fashionable :P I only wear yellow when it's a pastel (the white base counteracts the jaundice effect) or a bright creme. Sheer yellows (which the 1000th one seems to be, even if quite opaque) gives the nails too much of the ill effect, so I'm not going to get it. As a collector, yes the cap is tempting, but it's just not a colour I see myself wearing anytime soon. Welcome back! I had these exact same feelings about the new collection so don't feel bad! Don't worry about doing what you think you should or feel pressure to review everything! Your blog is great because you share real feelings and thoughts! Keep it real, Kindra!